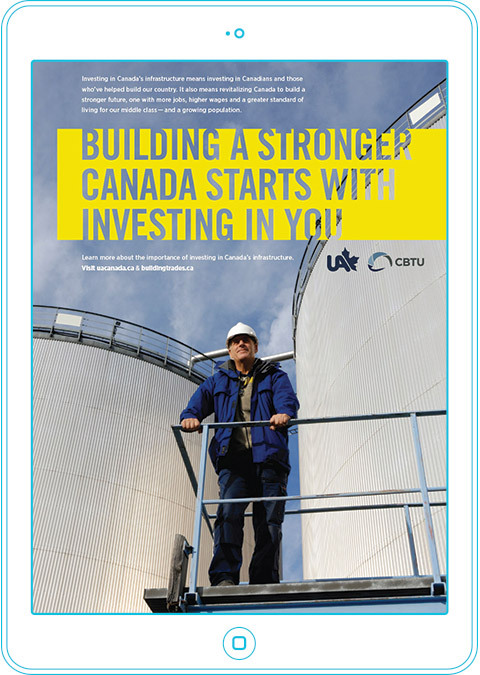 The United Association Canada (UA Canada) is a multi-craft union whose members fabricate, install and service piping systems. UA Canada collaborated with Mediaplanet to develop distinct advertorials for two influential Canadian media outlets – Maclean’s Magazine and Canadian Business. 76design developed digital and print artwork to accompany both editorial pieces. The creative from Maclean’s Magazine helped demonstrate to Canadians how strong unions contribute to a healthy middle class. 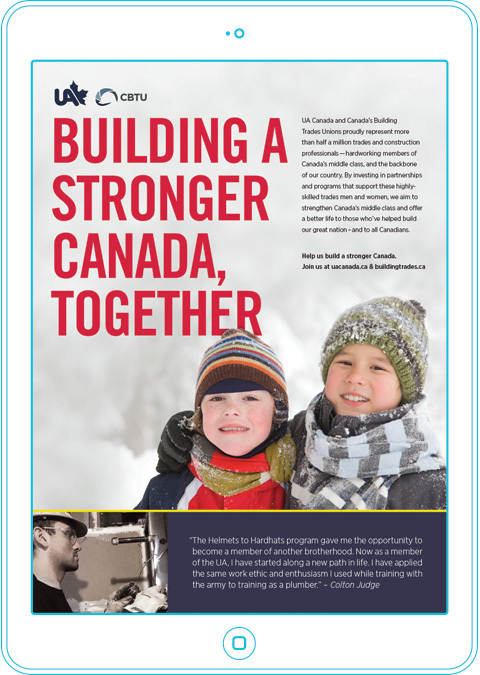 The Canadian Business piece spoke to the union’s effort to educate Canadians on the importance of creating and investing in a national infrastructure strategy that will create jobs. For each outlet, 76design developed one print ad and a set of eight digital ads.